Outerwear can be iconic and the trench coat is a perfect example. Its distinct look comes from its World War I heritage, when soldiers wore them as a protective layer from rain and snow in—as their name suggests—the trenches. But after the war, they stuck around and evolved, becoming a symbol of professionalism and sophistication. 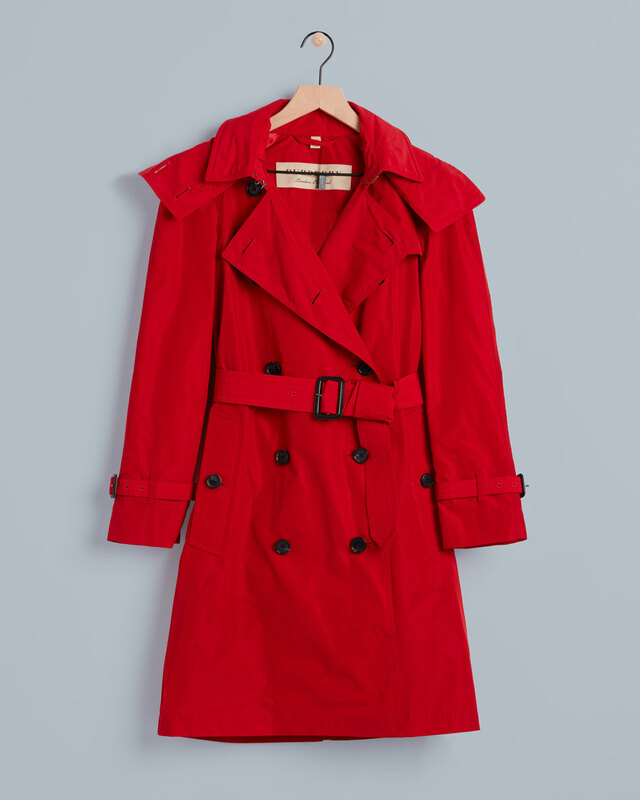 Like many trends from eras past, the trench coat has now cemented itself as a classic staple. If you asked Burberry, they’d tell you they were the first to create it. 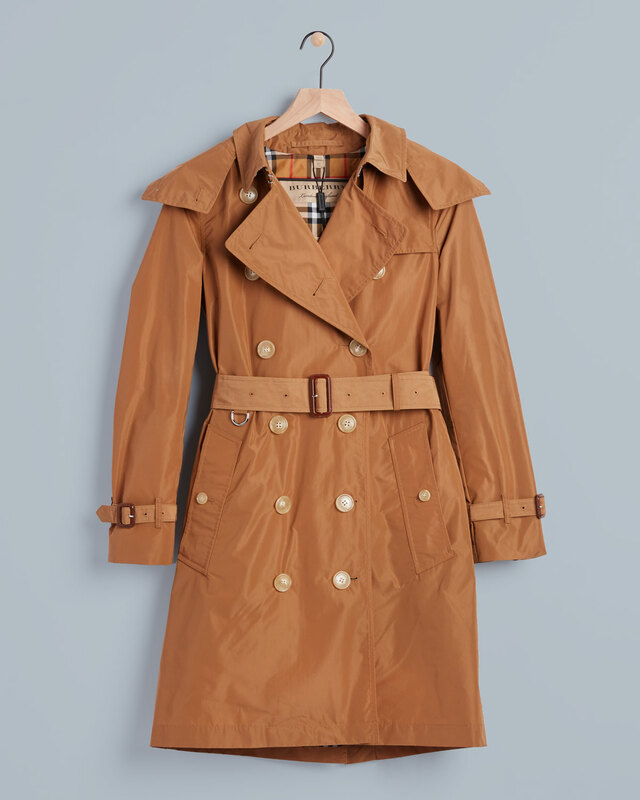 The jury’s technically still out on that, but we do know they make a fantastic traditional trench. So what makes a trench coat a trench? Originally they had ten buttons, were double breasted, and made of gabardine (a tough, tightly woven wool or cotton). 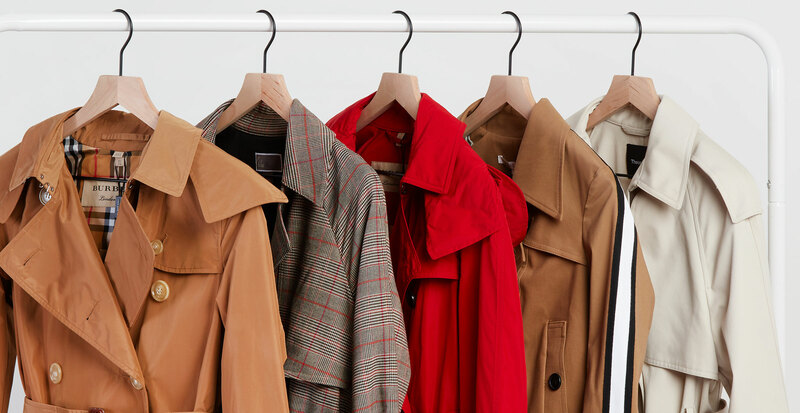 But whereas older versions of the coat were cut pretty wide to allow another coat underneath, trench coats these days are cut to be much slimmer. And to create an instant hourglass, they’re often cinched around the narrowest part of the waist with a belt. Definitely something to keep in mind if you feel like overcoats can get boxy. Khaki was king back in the day and traditionalists still go for it—we can never knock a good neutral—but nowadays we see trench coats in any color and every pattern you can imagine. We always talk about adding a pop of color to your outfit, so what better way to do that than lean into it with a bright coat? Colors like this candy apple red are striking and sure to stand out on gloomy grey days. But if you’re not quite ready to branch out into statements, a subtle pattern works just as well. You can still bring in new colors, but when they’re tempered on a field of beige or grey, it’s much less jarring. 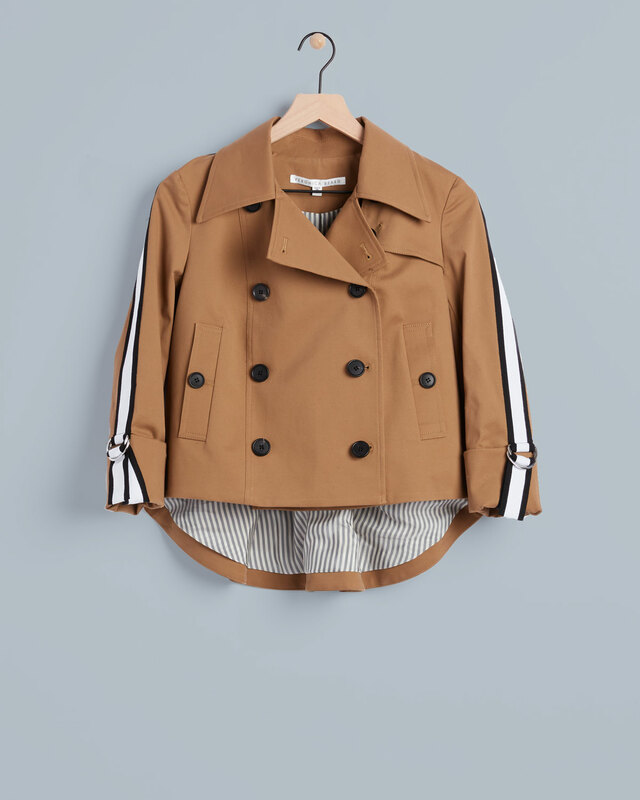 Let’s call this look “trench-inspired.” Most often, trench coats are long coats to combat inclement weather, but they definitely don’t have to be. Consider this cropped version. In the winter, styles such as these make for excellent layers underneath an insulated coat, but when the temps get warmer, it works on its own as a light spring jacket. Pieces like these can be intimidating but there’s nothing to be worried about. Yes, they buck the classic approach but they also still pay homage to the original, iconic style.